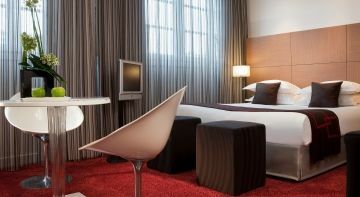 Welcome to the first Business Entertainment Hotel in Paris! 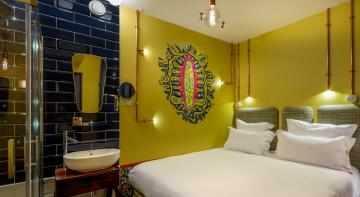 The BOB Hotel, which is short for Business or Business, is the new address for the FreeWorkers! Come and stay or give it a try for a day. 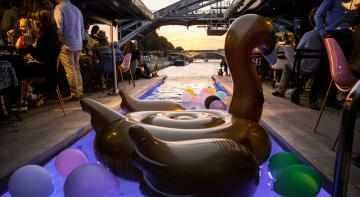 For the permanent Parisians or Parisians for a day. 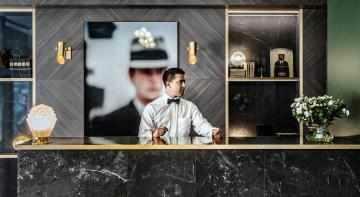 The SNOB hotel gives its highly desirable postcode a real kick in the teeth, this brand new 4 star boutique hotel will give you a taste of Parisian high society. More than a hotel, this unsual place has 58 rooms including 4 suites, a bar, a plunge pool, a marina, and a terrace on the docks. OFF Paris Seine gives a different point of view over the city. 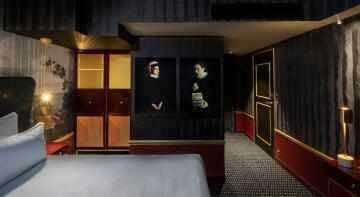 A 4-star hotel in the 5th arrondissement of Paris. 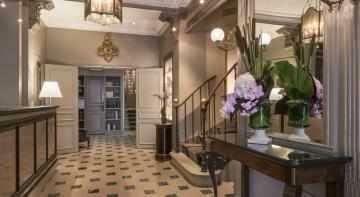 The Hotel Petit Paris is located on Rue Saint-Jacques between the Panthéon and Luxembourg Gardens, right in the heart of the Latin Quarter. 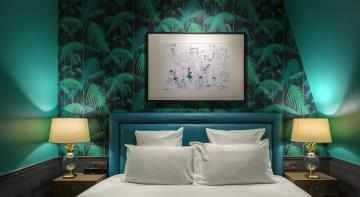 This (very) particular hotel has a modern decoration inspired by the literary salons of the XVIIIth century. 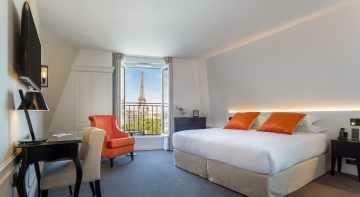 All the rooms have an exceptional view on the Eiffel Tower. Imagine yourself in the cozy atmosphere of a private mansion. 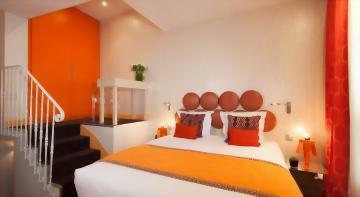 The 22 rooms have been designed according to 4 ambiances by the agency Desjeux Delaye. A hotel with a quirky and artistic universe on the theme of the surrealism. The rooms have been decorated by Julie Gauthron in a retro style with bargained furniture. 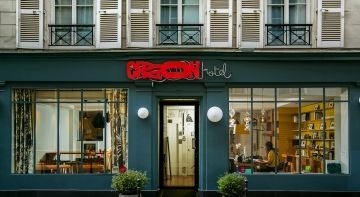 A hotel driven by the spirit of a Parisian, vibrant and sassy, whose universe is marked with playful chicness and poetic lightness. 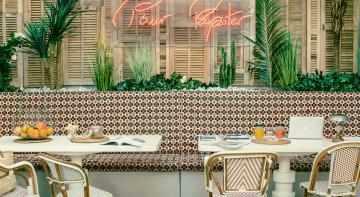 A hotel designed as it was a guest-house, vintage and colored atmosphere, smart and friendly retro. Откройте для себя мир дизайна Ора ИТО. Номера cOcoon, Odyssey и GalileO станут для Вас настоящим источником вдохновения и приятного самочувствия. Почувствуйте шарм сдержанной и элегантной атмосферы наших номеров! Проникните в тайну номера Потайной ход или легендарного люкса Ловец снов. Окунитесь в мир Госпожи Природы! В отделке номеров и люксов использованы самые благородные материалы, такие как лен и дерево, в сочетании с чистыми линиями и минимализмом декора. Отель Félicien открыл свои двери в сентябре 2013 г. Оформление отеля было доверено Оливье ЛАПИДУСУ, который создал декор, сочетающий моду и дизайн, новаторство и традиции. Проникните в мир парижской художницы, создавшей атмосферу гостевого дома. Атмосфера в стиле поп-арт. The Villathéna welcomes you in an atmosphere with a resolutely contemporary design. 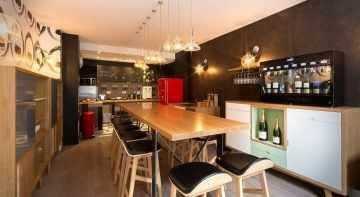 Situated at the center of the most lively neighborhoods of Paris, the rooms at Villathéna are comfortable and well equipped.